iHeartRadio is the free streaming audio service of choice primarily for people who love terrestrial radio, and want to be able to get these stations over the web. (Yes! Millions of these crazy people exist.) But until now, the service has lacked one of the the core components of the airwaves: babbling voices. No more! 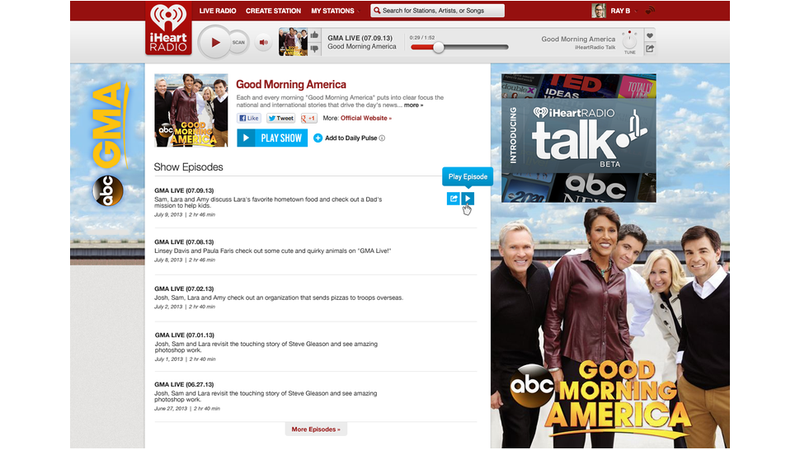 iHeartRadio Talk is precisely what it sounds like: Talk radio over iHeartRadio. It launches today, giving you access to 50,000 "audiosodes" of talk radio including Good Morning America, TED Talks, and Ryan Seacrest. If that's not a silent majority selection, I don't know what is. In once nice touch, you'll be able to curate your own Daily Pulse station, that'll automatically play you popular daily selections from the stuff you like—so, like, a personal radio station of talk radio.